OKI Data Showcases Printers at ISS Show | Industry Analysts, Inc.
January 19 -21, OKI Data showed their printers at the ISS Imprinted Sportswear Show in Long Beach California. 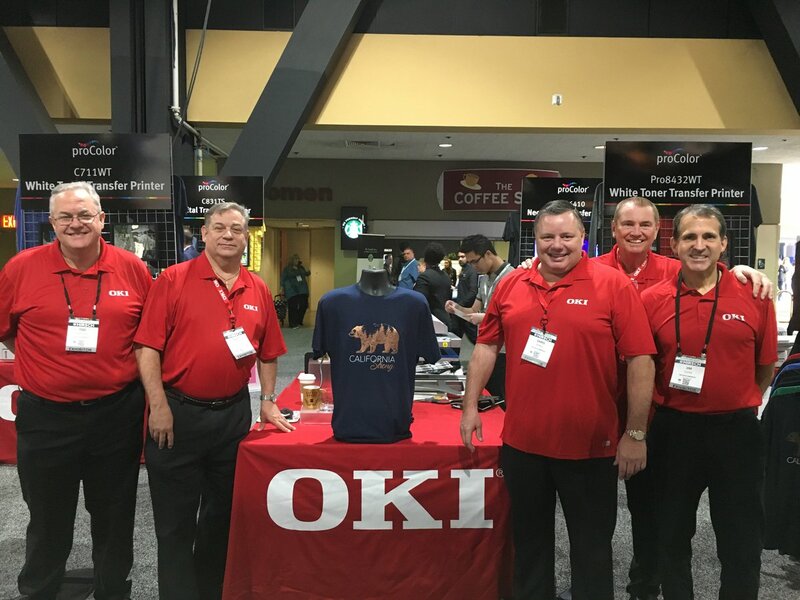 The OKI Data team was at booth 2163 to answer questions about OKI’s digital transfer print solutions. They were also collecting donations to @DirectRelief to help SoCal communities that have been devastated by wildfire and landslides. This entry was posted in OKI and tagged OKI Data by IA Staff. Bookmark the permalink.